A great whitetail cartridge, some may consider the .243 just about on the cusp of true big game performance, but this load proves that the caliber is right for the task at hand. 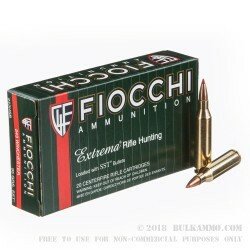 The SST (Super Shock Tip) projectile by Hornady is a perfect pairing for the caliber and the other quality components that Fiocchi offers for the load. The Hornady SST is a bullet that offered a number of significant improvements over other projectiles when it debuted in 1998; and is still a very high end choice. 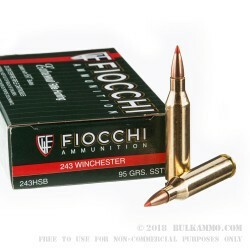 Hence, the reason Fiocchi chose it when they have plenty of options to choose from, including their own projectile. The multiple jacket/core connective mechanics and the special 3% antimony alloy of the core, as well as the polymer tip ensure rapid, reliable expansion, along with very good jacket retention; with the aim to create pass through shots on intermediate game and larger. The reliable seating depth of the cannalured bullet ensure good velocities and consistent cartridge length to improve accuracy and reliability. 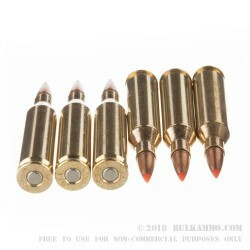 95 grains of fast moving, high ballistic coefficient jacketed lead – the bullet is made specifically to create a huge impact on entry to improve the size of the wound channel. 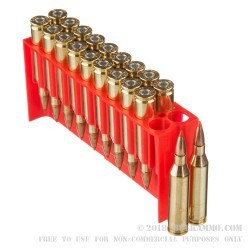 The Boxer primed brass makes the round easily reloadable as well.